Want to turn your artwork into canvas art masterpieces? Let our professionals do it for you. 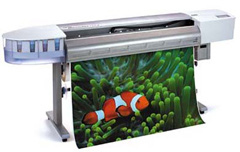 You can find creative solutions for all your art print canvas needs at Superchrome. Superchrome, one of the leading digital printing companies based in the UK, is dedicated to providing you advanced and competitive services to satisfy all your printing needs. Superchrome’s art print canvas has a distinct style that will complement any décor. These can be presented as a great gift to your beloved ones for the next holiday, anniversary or birthday. We make use of only the best canvas and equipment with a 100% guarantee to reproduce your highest quality art print on canvas exactly as you need it. We print on top quality water resistant canvas, fast dry matte canvas, fast dry glossy canvas, and coated cotton canvas. Depending on your needs, you can make a selection from a variety of canvas materials. Just send us your art print and we will reproduce it for you digitally on real artist canvas. Superchrome art print canvas is available in different sizes. If you desire a larger size, we can give it to you. To make your art print canvas more appealing, we can reproduce your art print canvas in quality frames. Our ability to offer sharp resolutions, color accuracy, clarity, fineness, and durability make us different from other providers of art print canvas. Put your trust in our years of practical experience. To learn more details regarding art print canvas and our other areas of specialization, take a few minutes to browse our website. For questions about Superchrome or any other enquiry, contact us over phone or via e-mail. For immediate response, you can also have a live chat with any of our company representatives online. Our staff can answer your questions on all topics relating to art print canvas and your order.